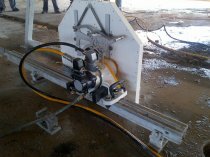 The High Frequency Electric wall saw TITAN reflects the result of more than 30 years of intensive research and development in the field of wall sawing. TITAN combines materials used in astronautics, electronics, telecommunications and motor sport with the experience and know how of partners and professional contractors. 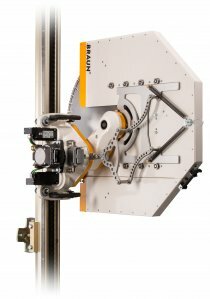 This fully automatic lightweight machine comes equipped with an 18kW motor that provides the maximum speed of 6,000revs/min. With the saw head weighing a mere 27kg, the system accommodates blades of up to 1.5m in diameter and has a cutting depth of up to 670mm.